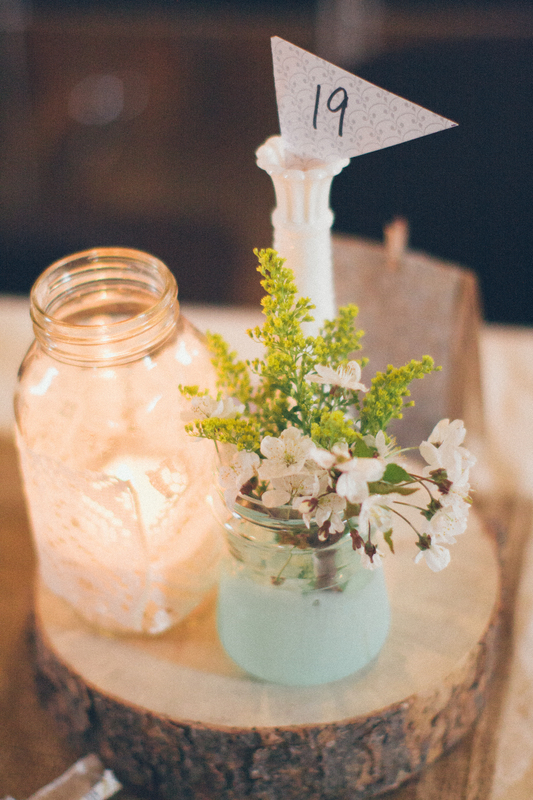 As promised, today’s post brings you the first “How-to” for the DIY elements of our wedding. Now, while I would have loved to capture the process the first time around when making these projects, I unfortunately did not. It probably had something to do with the fact that I just needed to get them done as soon as possible and making my just-moved-in-boxes-everwhere-suite look photo friendly was not at the top of my ever-growing to-do list! So, instead I have re-created another one with some extra supplies and took a few quick shots with my iPhone all for your benefit and enjoyment! 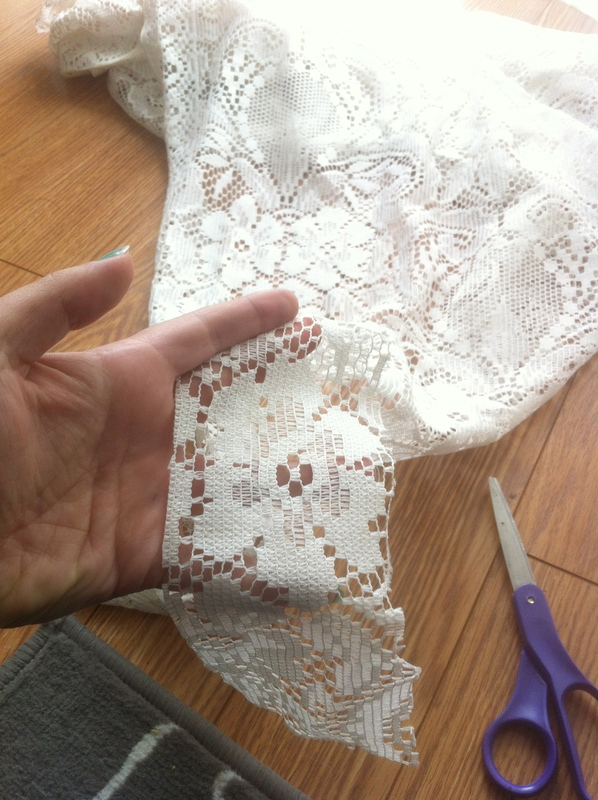 I love the off-white colour and the really delicate texture of the lace used in the photo above but I couldn’t locate any lace quite like this so I just used what I had. No need to stress over that kind of stuff! 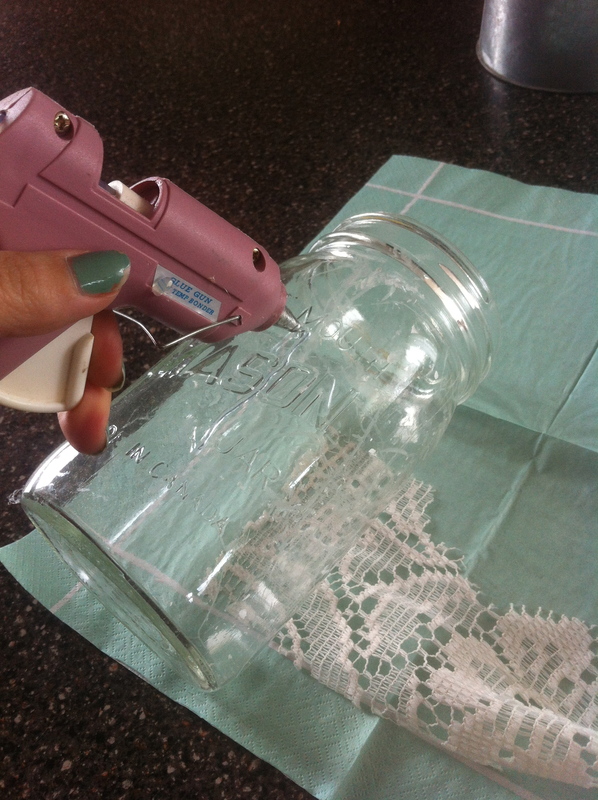 Glue gun(any size you have) and extra glue sticks especially if you are making a lot! 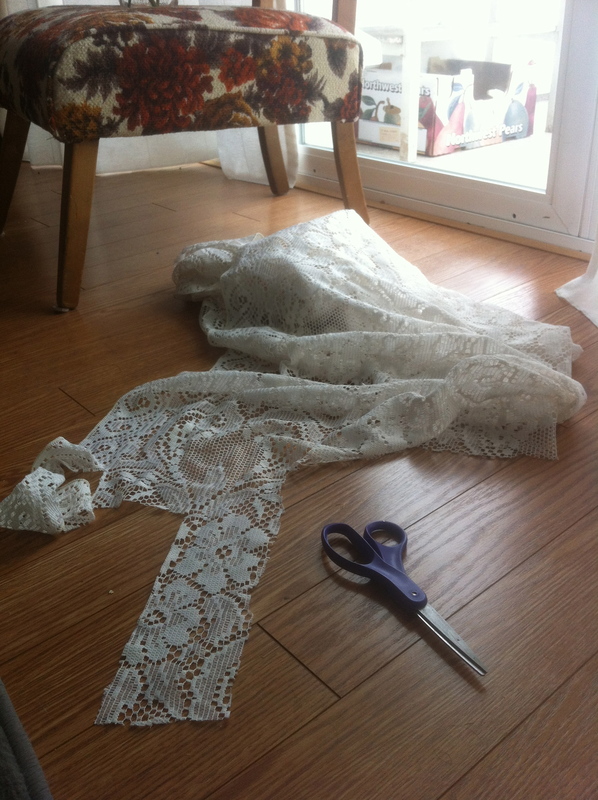 Lace curtains or table cloth’s that you don’t mind cutting up. 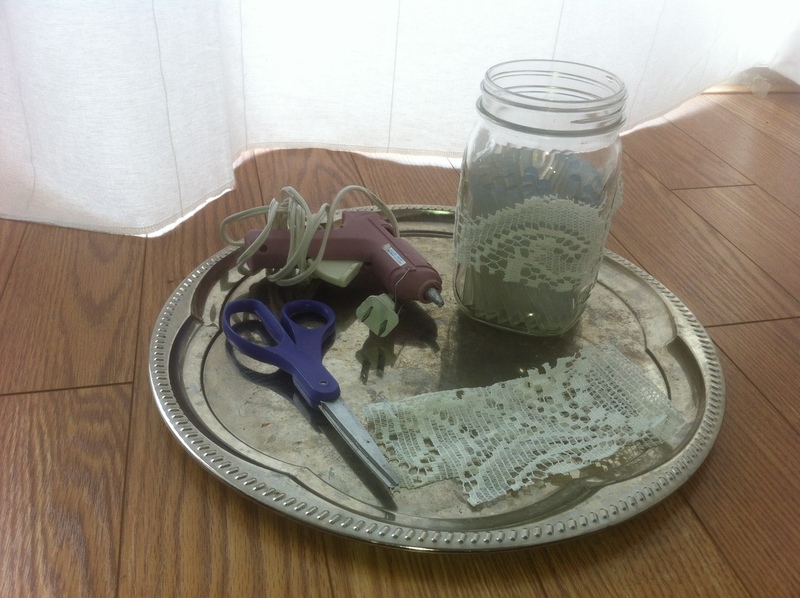 Gather all of your supplies together on a pretty tray…just kidding hehe. It does make things easier though if you have all that you need in one place. Measure the circumference of your jar and cut the strip slightly longer so that you can overlay the ends to finish it off nicely. I chose to highlight the flowers on mine so I cut the strip and then cut around the petals to really accentuate the flower. Lay your strip down on a glue-friendly surface which in this case I am using a napkin. 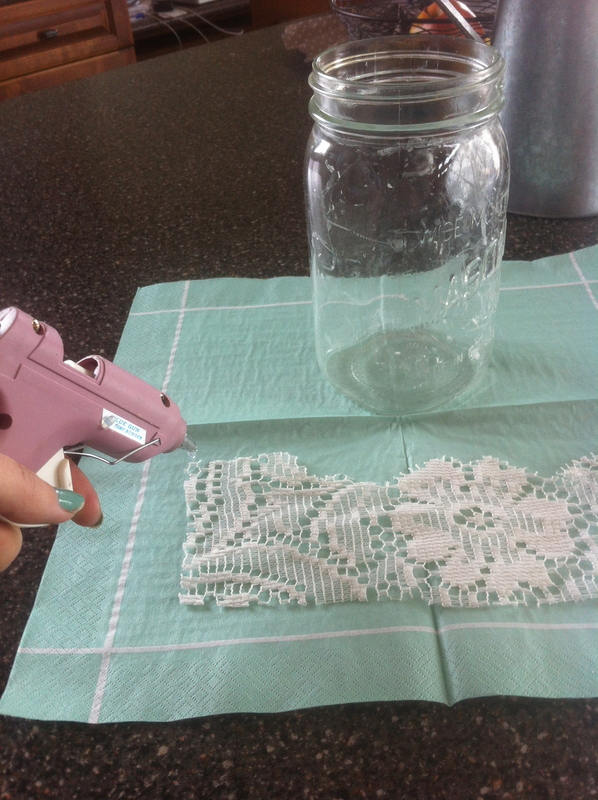 Quickly add glue to the end edge of your strip and place your near-by jar on top of it. 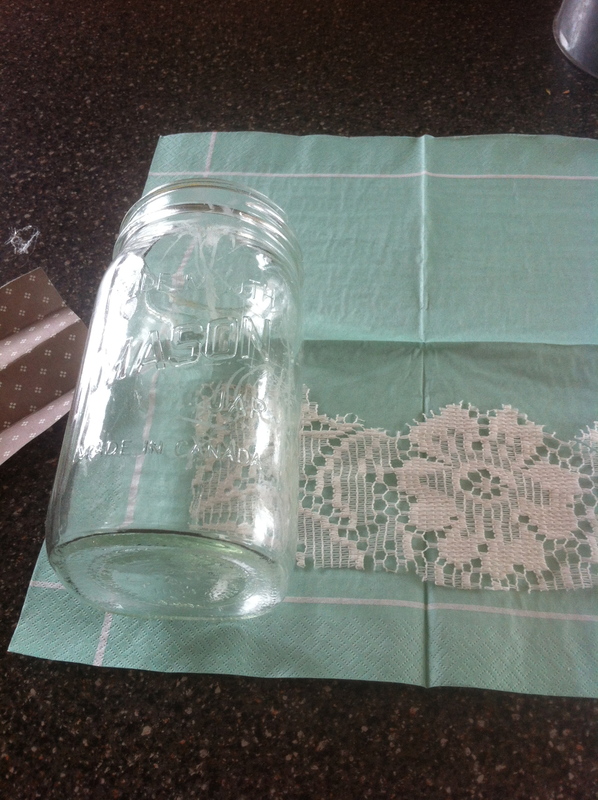 Add 3-4 more lines of glue around the jar where the lace will lay over top of it. 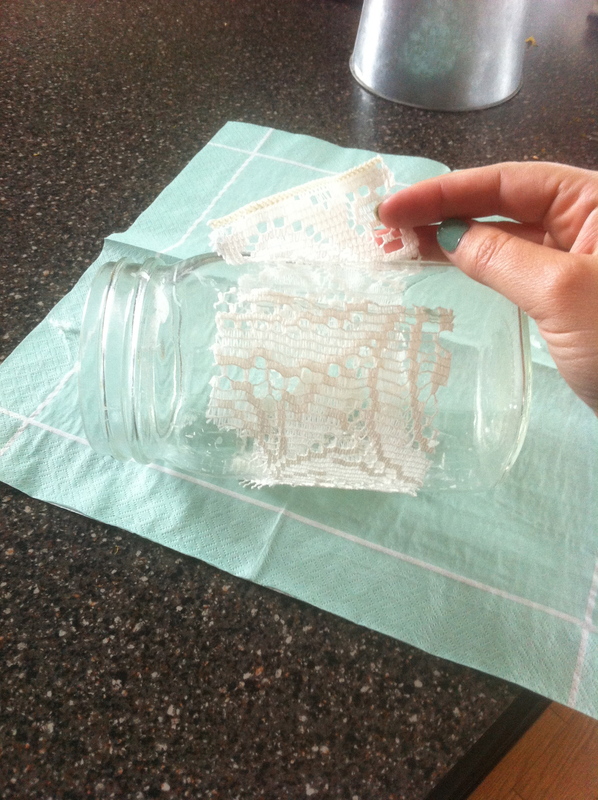 Roll the jar over top of lace and press the lace into the glue to make sure it is going to stick really well together. 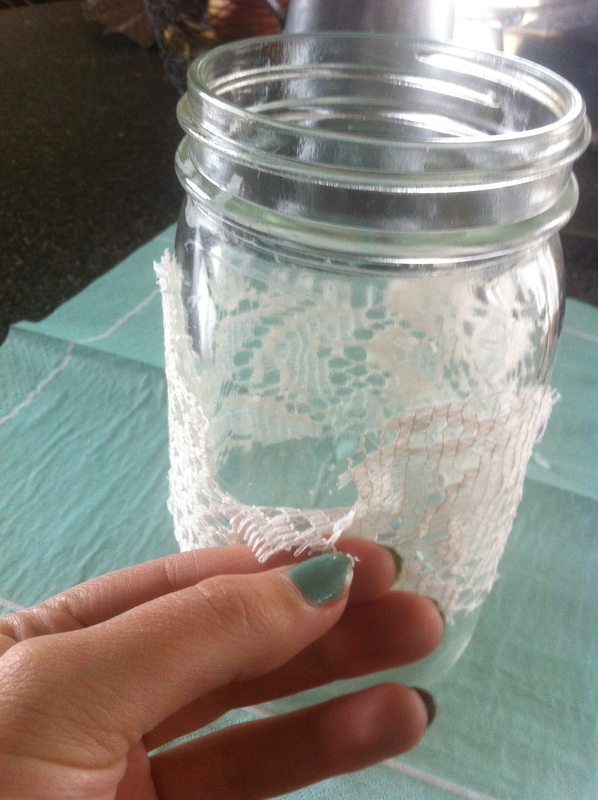 Finish off by gluing along the edge of the lace already on the jar and firmly press in the last bit of loose lace. 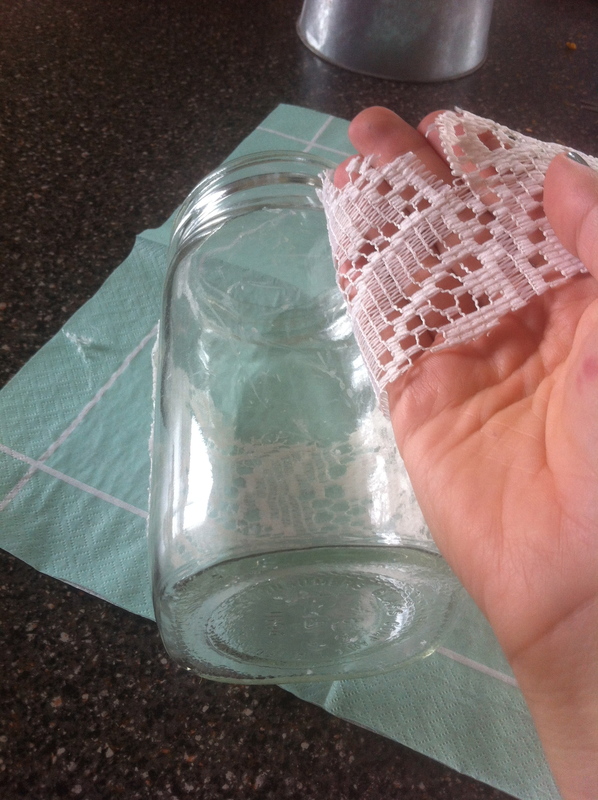 Stand your jar up and turn it around and add a drop of glue to any loose pieces along the top and bottom of the lace strip. 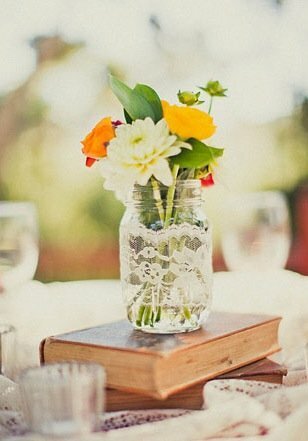 This ensures that it will be less likely to catch on things and peel off in transportation to and from your wedding venue. Enjoy! 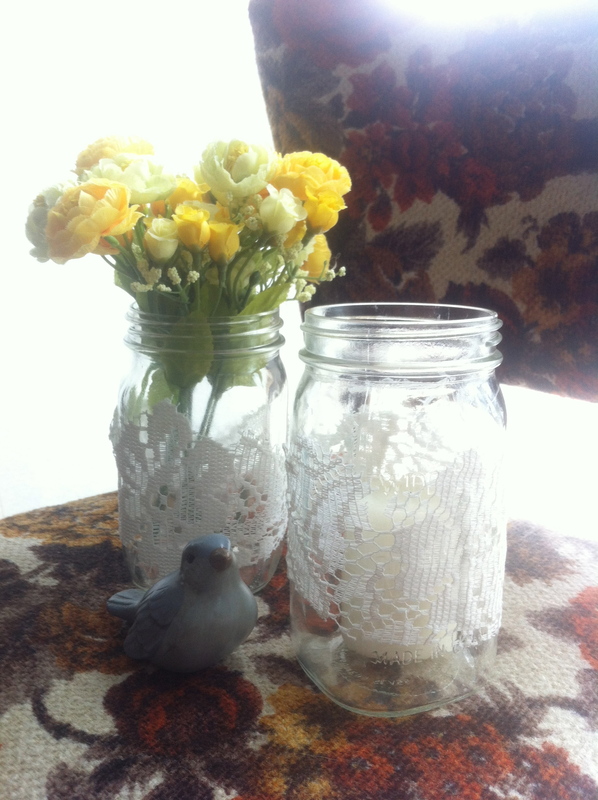 For our wedding we alternated with flowers and with these off-white candles from Ikea. What other sort of creative idea’s would you use them for?